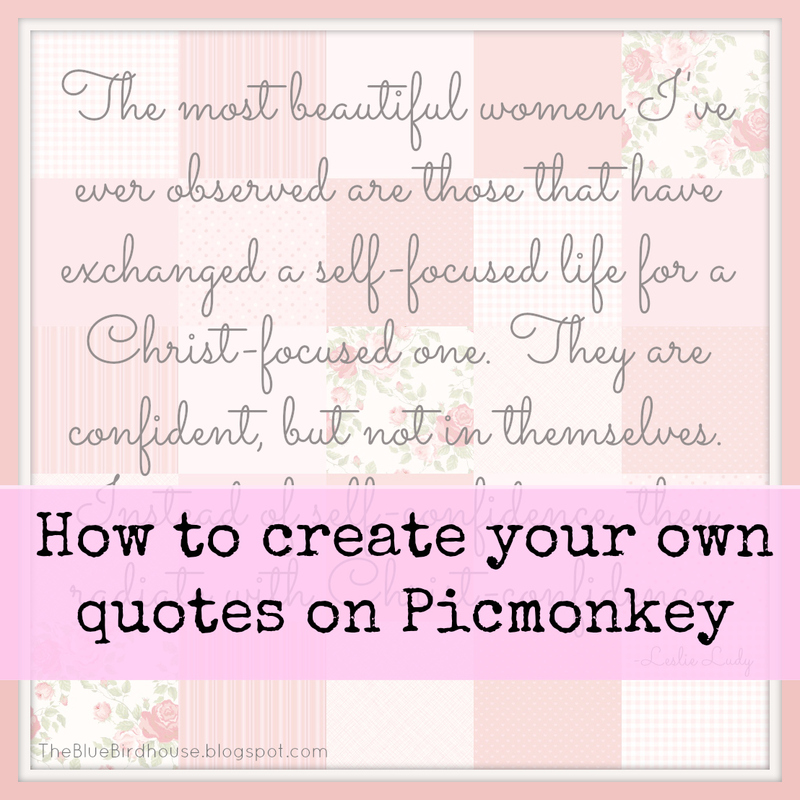 I am pretty sure that many of you know about Picmonkey. If you do not, this day will change your life forever! One thing I have been falling in love with is quotes. Quotes are in many cases profound statements or just simply tell you the truth. Some can make you laugh so hard, others making you sigh because of their sweetness and others strengthen you through a rough time. 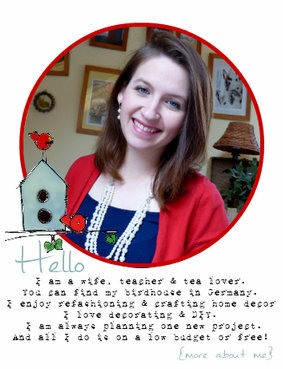 1.Go on Picmonkey and click on "Create a Collage". You will now see the option to use their pictures or upload your own. 3. If you only use one or mainy....get rid of the white spacing to make it own full background. You can still switch around the swatches to get them to look the way you want and then save this new background to your computer. 4. Upload the picture on "Edit a Photo" to Picmonkey. 5. First of all you want to make the background less bold but adjusting the "Exposure" by setting the brightness to around '25'. 6. Click on the fourth icon on the left to add the text. Play around with the fonts and don't forget to give credit to the one you are quoting. 7. When you are done you can either simply save or add a frame by clicking on the sixth icon...the frame. 8. Make your frame match perfectly in color by using the "color picker" and holding it over your background. If you found the color you want from your background click it. Adjust the thickness of the frame and hit "Apply"
9. Save to your computer and print, post on your blog or upload to Pinterest. What quote will you be doing? Remember, what ever you guys are making....share all in a Valentine post and Link it up on Thursday! Can't wait to see your work!!!! I've seen those various places, but had no idea how to make one. Thanks! I use PicMonkey often, but have never figured out WHAT to do with their swatches... Thanks for a great idea. (I appreciate the step-by-step pictures too.) Gonna head over and try it! Thanks for this info. I've been using Publisher to create quotes/images, but I just pinned this so I can take a look later at the details. I think it will do a better job than publisher. 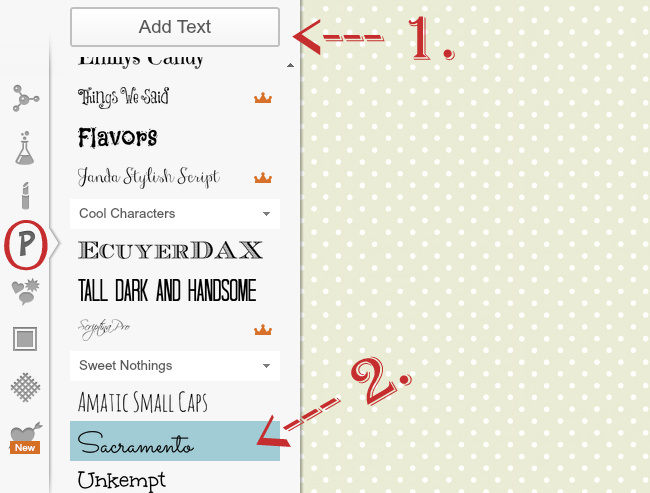 Do you use the free picmonkey or do you pay for the upgrade? 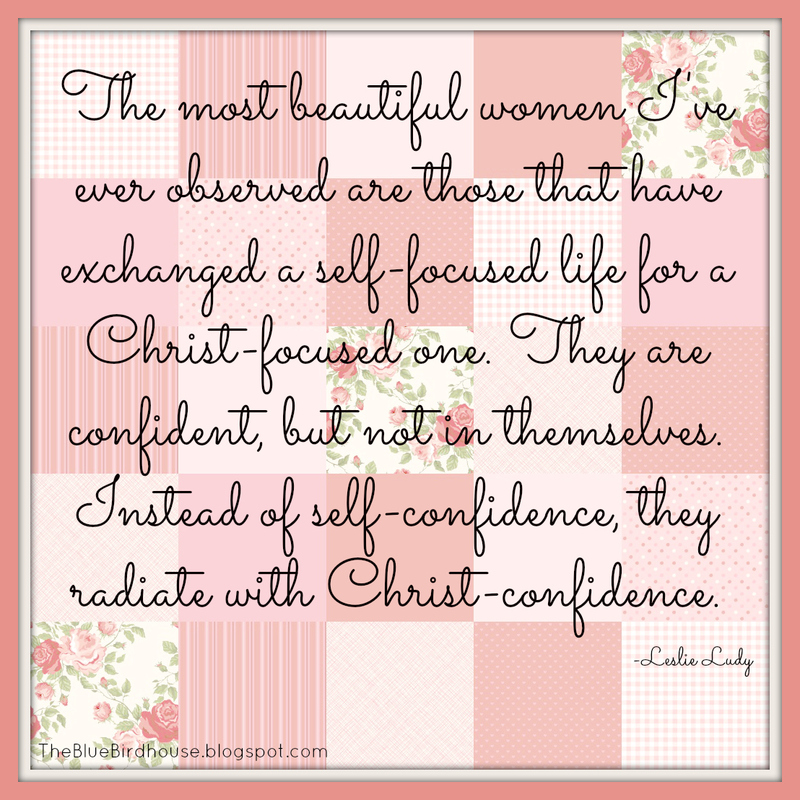 I use picmonkey fairly often (as evidence by my blog) but I'm not very good at it yet, lol! 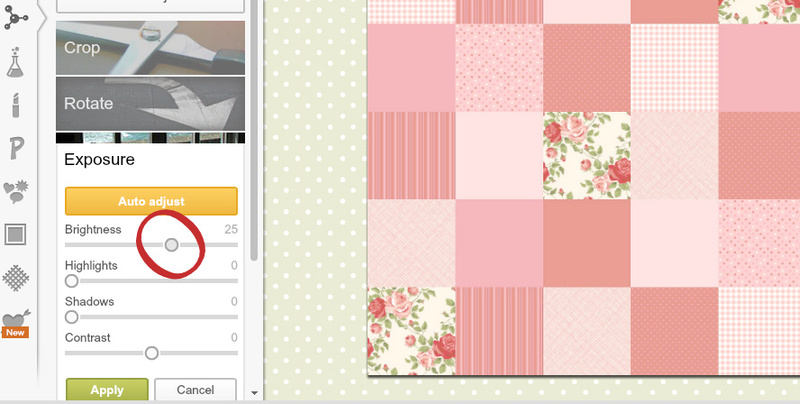 I didn't know that you could remove the white from your quilt squares. How did you do that? I didn't know about that digital scrapbook for backgrounds either. I just take digital pictures of my own scrapbook pages and then upload them as the "upload your own texture" option. I only use the free picmonkey (I am to cheap to upgrade). So everything you see in the above tutorial is completely free. To get the spaces away read step #3. Go on the icon that looks like a color pallet and there you will see "spacing". There you can remove spaces or make them bigger. I can only encourage you to click on anything and everything on picmonkey and just play around. If its only for the upgrade they will tell you. ;) So just have fun!